Supreme Court candidate Kevin Dougherty nabbed a high-profile endorsement Thursday. 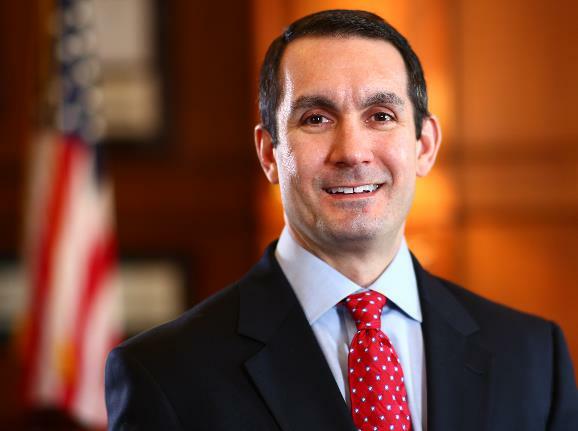 The Democratic candidate and Administrative Judge of the Philadelphia Court of Common Pleas received the support of Pennsylvania Auditor General Eugene DePasquale. The endorsement will be announced at a formal press conference in York on Monday. Dougherty is one of the frontrunners in a pack of 12 candidates seeking one of the three open seats on the bench. And he has the most money in his war chest heading into the primaries. Through March, Dougherty racked in more than $700,000, due in part to his connection to labor unions. Dougherty’s brother, John Dougherty, leads the Philadelphia chapter of the International Brotherhood of Electrical Workers. How is this news? Every high profile Democratic elected official will (almost without exception) support the endorsed candidates. It should be news when they don’t!! Same goes for the GOP. Please stop with these meaningless endorsements from other elected officials.